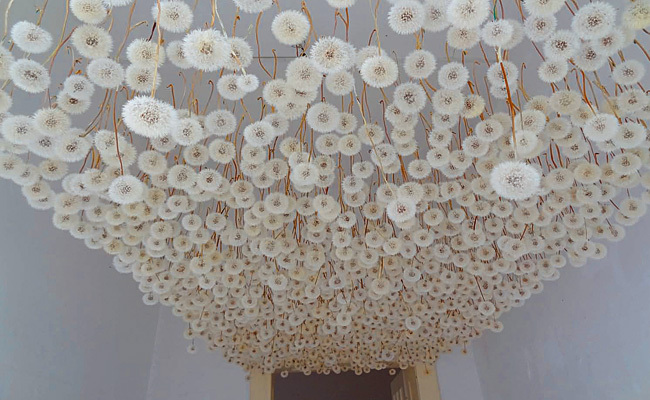 Dandelions on the ceiling! What a great installation. 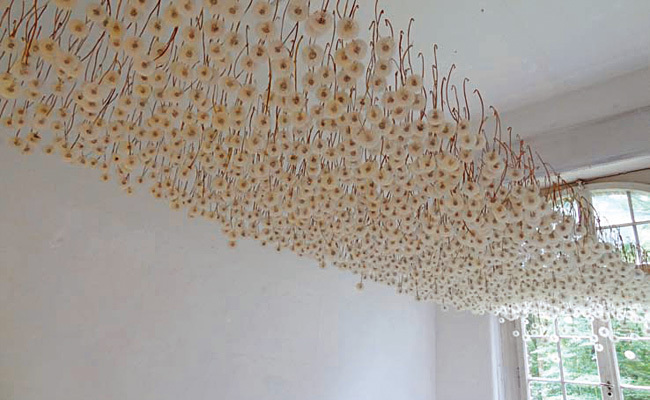 It’s the work of German artist Regine Ramseier. More amazing pictures here. < Previous Judith Geher paints all the pretty girls. Next > Pink lakes make me wish for some green. I didn’t realize at first that those were real dandelions, it’s kind of amazing that she managed to preserve something that is so fragile and ephemeral! I wish I could read German, I would love to find out what the thought process behind this piece was.